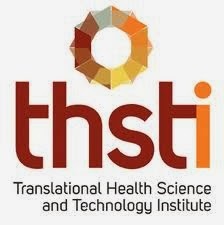 About Organization: THSTI(Translational Health Science and Technology Institute) By integrating the fields of medicine, science engineering and technology into translational knowledge and making the resulting biomedical innovations accessible to public health, to improve the health of the most disadvantaged people in India and throughout the world. Qualification: Candidate should be Graduate with good English communication skills and proficient in basic computer operations. How to Apply: Eligible candidates can apply online After submission of online application, take print out of the submitted application, and send to Head-Administration, Translational Health Science and Technology Institute, Plot No.496, Udyog Vihar, Phase-3, Gurgaon, Haryana, Pin-122016, India.